Hello guys, and welcome to our fourth VIP giveaway, the way the VIP works you have to first register an account, then after you registered your account and verified your email address your going to post a thread on here with the following information, so if you win the VIP package we will know who to send it to, remember it's only one entry each person, abusing the giveaway by any means will be perm banned from the website and the servers. Thanks and remember have fun. 48 is my random number. I think the giveaways are a smart and fair thing to do for the community. 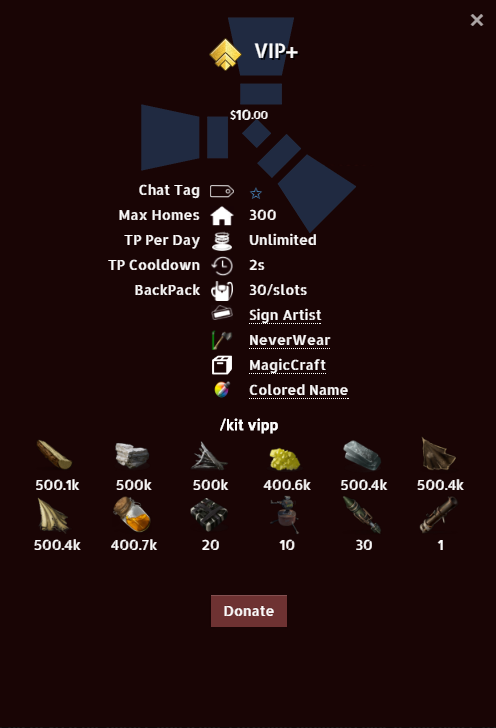 Congratulations Axis, you should have your vip next time you log in.